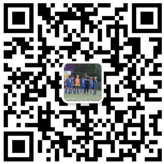 Ebbe Sand Soccer Academy Shanghai will not use any personal or aggregate information for any reasons other than to provide samples or answer your questions. Ebbe Sand Soccer Academy Shanghai will not disclose any information collected on this site to any third party company or agency, without your prior knowledge, that does not include fulfilling sample orders and/or necessary legal compliance. Ebbe Sand Soccer Academy Shanghai may use information gathered to promote and market its services and products back to its user(s). Ebbe Sand Soccer Academy Shanghai may change this Privacy Statement at any time by posting revisions to our Site. Your use of the Site constitutes acceptance of the provisions of this Privacy Statement and your continued usage after such changes are posted constitutes acceptance of each revised Privacy Statement. If you do not agree to the terms of this Privacy Statement or any revised policy, please exit the Site immediately.